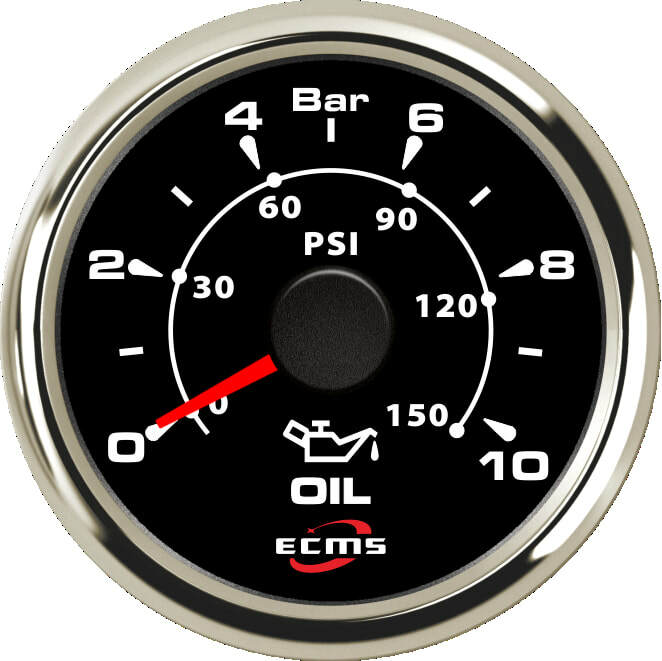 ECMS Neptune gauges offer outstanding performance and features that are found in no other range of gauges that we offer. If you are looking for the latest in marine gauge technology you have found it. 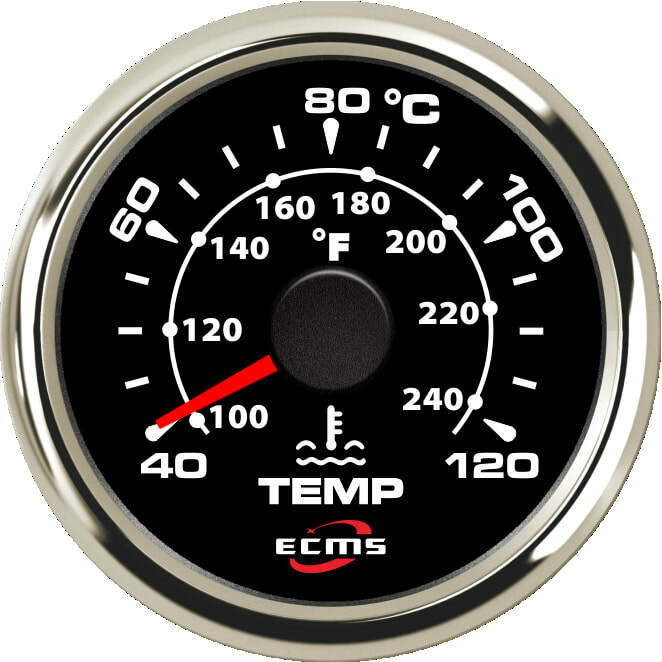 Stylish modern and easy to read waterproof fuel gauge with convex glass crystal and 316L stainless steel bezel. Wiring plug and pigtail included. Multi-colour LED back light colour - Red,yellow,green, blue, purple, white. Colour is selected by the user at installation. Fixing method - 'U' bar. 9 to 32 volt input with no action to take for 24 volt. Signal from sender user select!. Most sensor types covered. Stepper motor drive operating usage <60mA. ​Stylish modern and easy to read waterproof water temperature gauge with convex glass crystal and 316L stainless steel bezel. Signal from sender 278.4 to 22.4 Ohms. 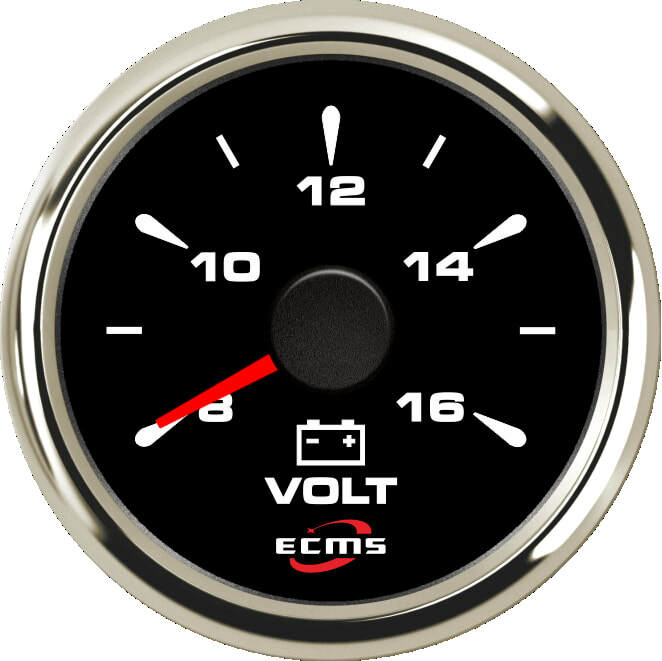 Stylish modern and easy to read waterproof volt gauge with convex glass crystal and 316L stainless steel bezel. 9 to 32 volt input with no action to take for 24 volt. 24 volt looks the same with revised numbering. Signal from sender not required. Stylish modern and easy to read waterproof warning light gauge with convex glass crystal and 316L stainless steel bezel. 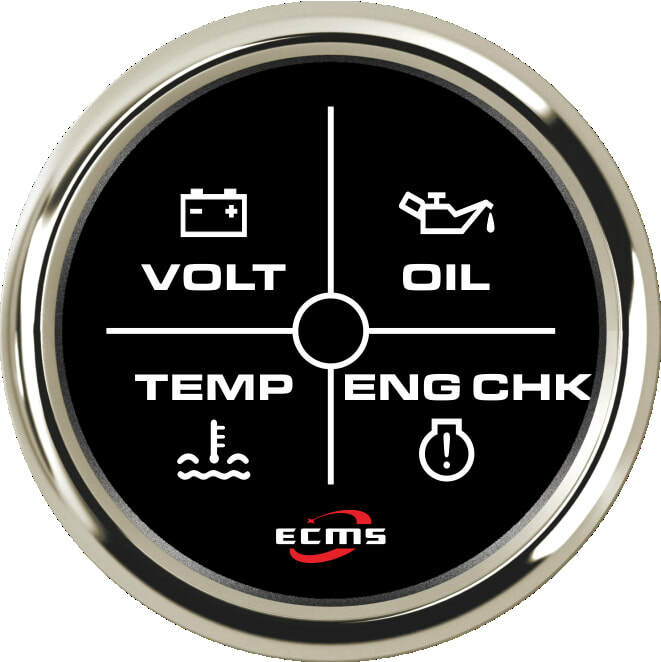 ​The gauge is divided in to quadrants for low voltage, low oil pressure, high water temp and engine fault. Signal from sender 0 at normal state 500mA when tripped. 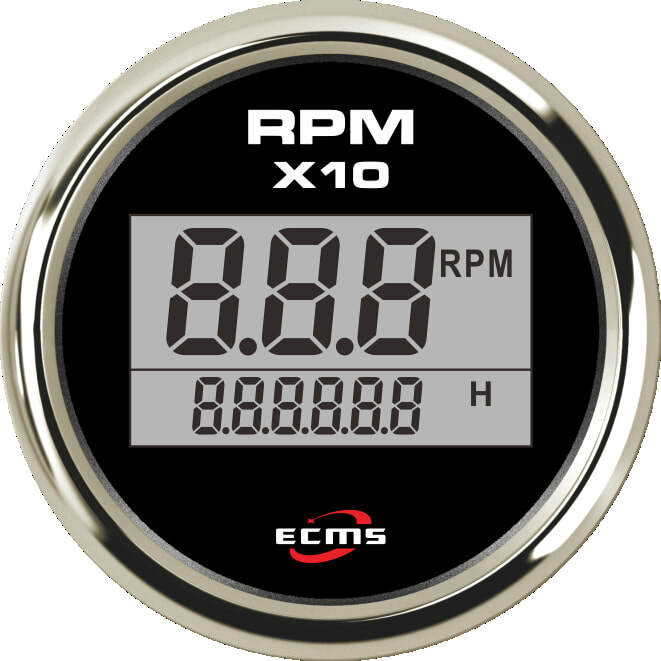 ​This 2 inch digital RPM with hours is one of the only 2" tachometers on the market. Signal from sender - Square pulse wave . Hour meter is only activated while pulses are being received. Signal from sender 10 to 184 Ohms. 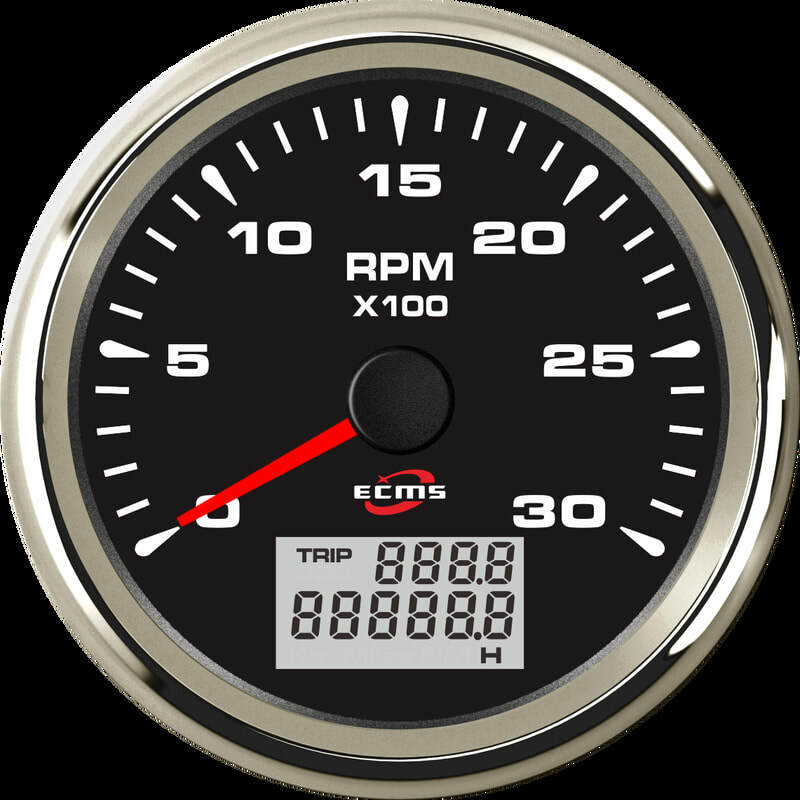 Stylish modern and easy to read waterproof RPM gauge with convex glass crystal and 316L stainless steel bezel. Signal from sender square pulse wave. 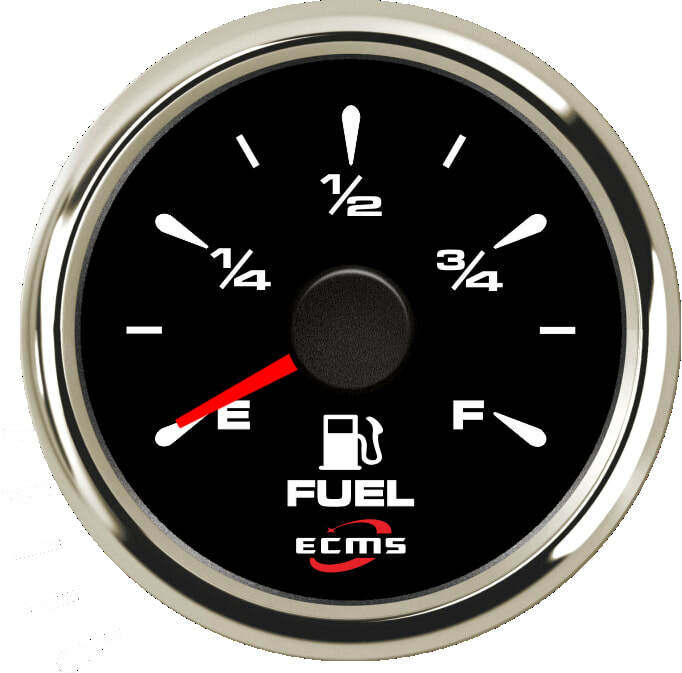 .The engine running hours log only counts when the engine is running. The trip log resets to zero each time the engine is turned on.